Average overall weights of 250/300 gr/m2. BLACK(grey-fluo orange) /BLUE MARINE(grey-fluo orange). 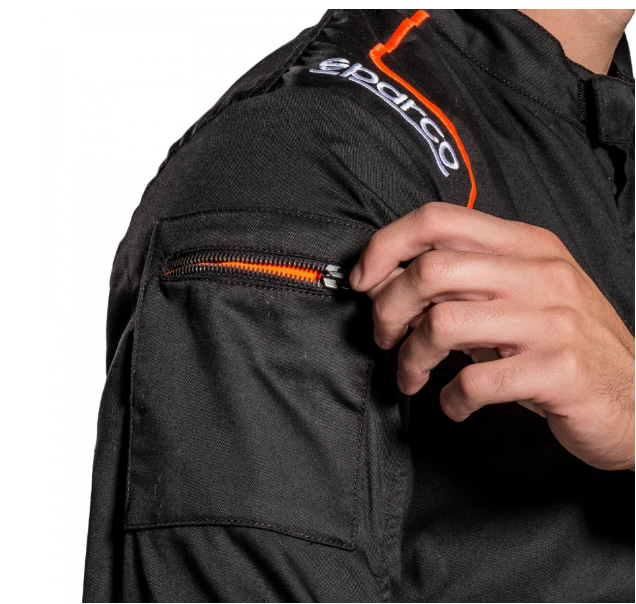 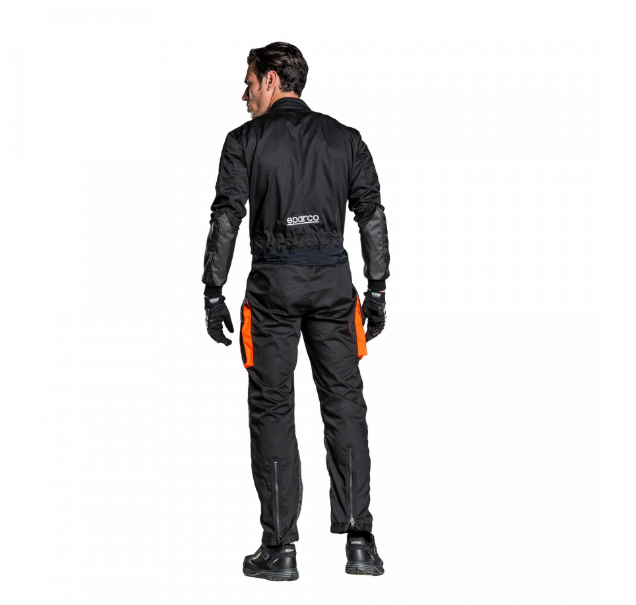 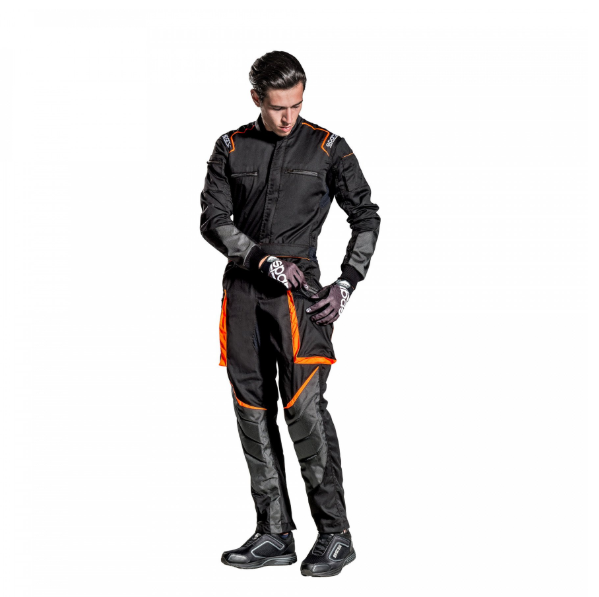 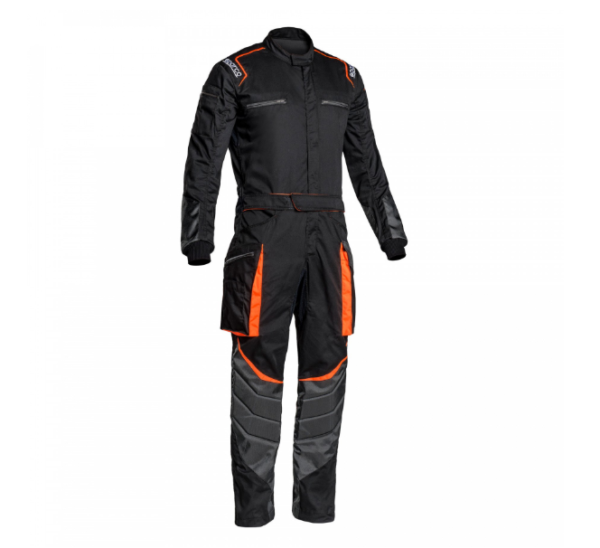 High-range mechanic’s suit, made by batching a main structure in mixed polyester/cotton fabric, with panels partly nylon-padded and in high-resistance and anti-abrasion Cordura. 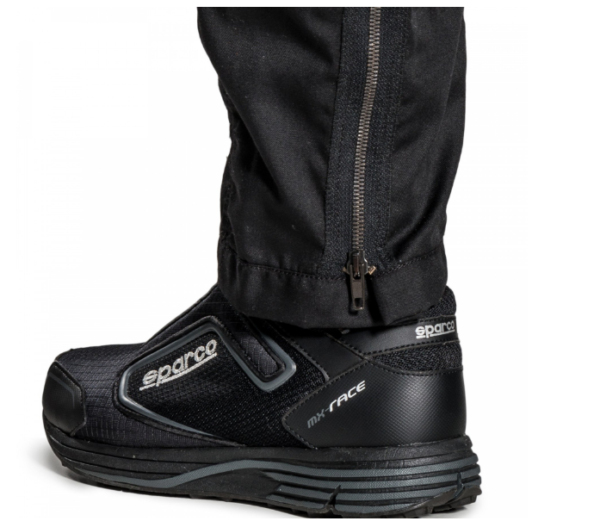 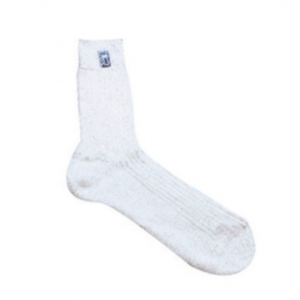 Ankles with adjustable closure with zip, perforated elasticised panels on the armhole allowing greater mobility and breathability. Cordura panels on the forearm and legs, precisely, below the knee with padding to improve comfort when seated; Elasticised underarm panels and generous elasticised panel on the back, both completely perforated for greater mobility and breathability. 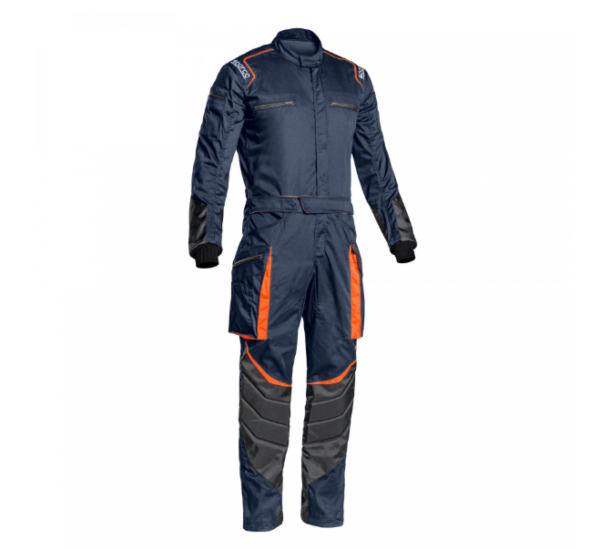 Light welt pouches with zip fastener, large pockets with bellows on the legs with closing flaps and smartphone pocket, jeans-type pockets; pen-holder pockets applied on the sleeves. 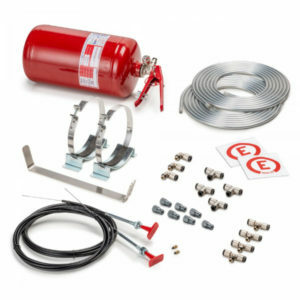 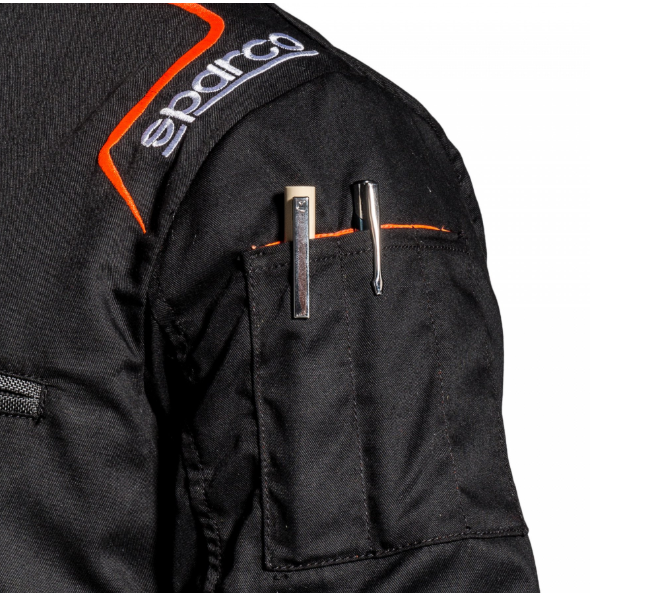 Hooks for application of a radio on the rear belt; cable-holes on the back at belt height. 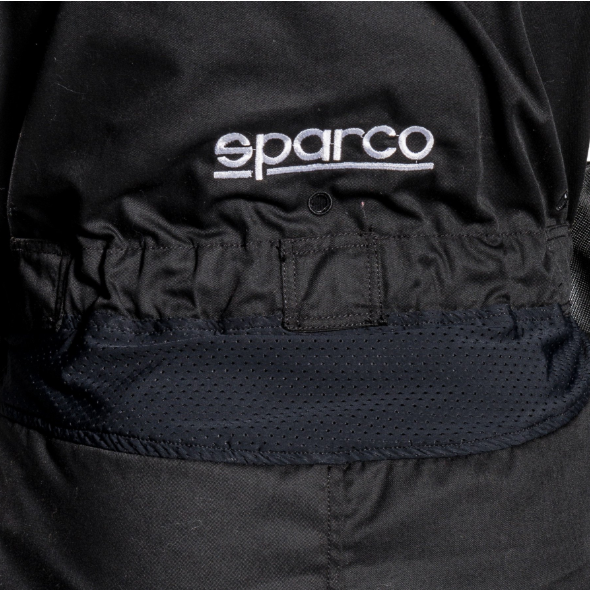 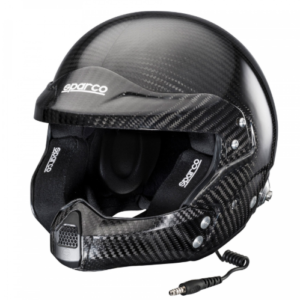 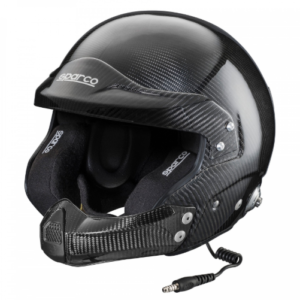 Preformed neck and belt with the characteristic Sparco logo.